Southern Loggin’ Times magazine’s September 2015 issue features Gore, Georgia’s Triple J Logging, Live Oak, Florida’s D&S Griffis Timber, Fruitdale, Alabama’s Big B Stumping, Stanton, Alabama’s Carter Enterprises, and Rutherfordton, North Carolina’s Whiteside Logging. 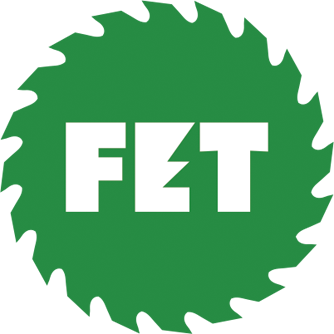 Also highlighted is the upcoming Mid-Atlantic Logging & Biomass Expo, to be held in Selma-Smithfield, North Carolina on September 18-19, 2015. Other articles cover the latest industry news and new products. Southern Loggin’ Times magazine Contributing Editor May Lamar travels to Gore, Georgia to visit Triple J Logging. There are 159 counties in Georgia—second only to Texas among the 50 states—so they tend to run small, which is a good thing if you are Jason Dawson of Triple J Logging in Gore. 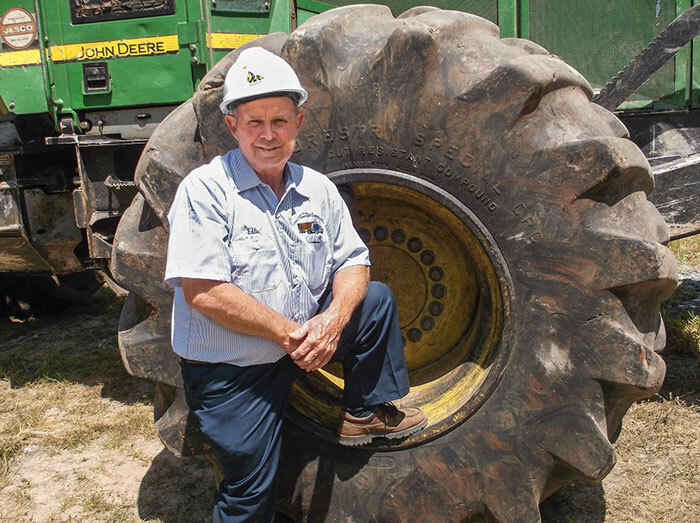 On a hot, clear August morning with soybeans about ready in the fields of hilly Chattooga County, 37-year-old Dawson is overseeing three company crews, each in a different county. Two additional contract crews also are at work in this rural northwestern section of the state dominated by the Chattahoochee-Oconee National Forest and not far from the Chickamauga Battlefield (we won that one). It’s not mandatory to have your first name start with the letter “J” around here, but it certainly doesn’t hurt. Jason started the business with his father, James Dawson Jr., and Jason’s brother, Josh, back in 2001. Southern Loggin’ Times magazine Executive Editor DK Knight visits Carter Enterprises, LLC in Stanton, Alabama. An ambitious self-starter, Casey Carter goes about his work these days with lots of enthusiasm, confidence, and satisfaction—enthusiasm because he’s making his own way upstream, confidence because he’s very good at what he does, and satisfaction because he’s providing quality service while helping mold the young lives of those who work for him. 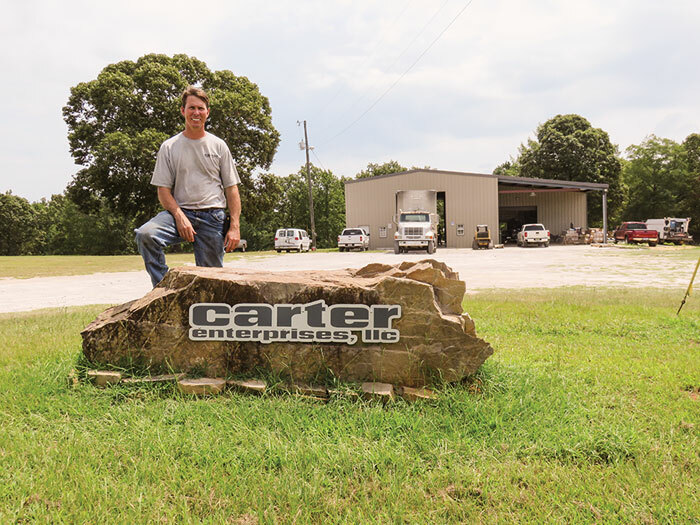 Carter, 41, took a leap of faith just over a year ago when he put his full weight behind Carter Enterprises LLC, a welding-repair-installation company he established as a sideline in 2003. He could have taken a perhaps less risky route by shouldering the established logging business being wound down by his retiring daddy, Gene (Rainbow Logging, Inc., 1964-2014). 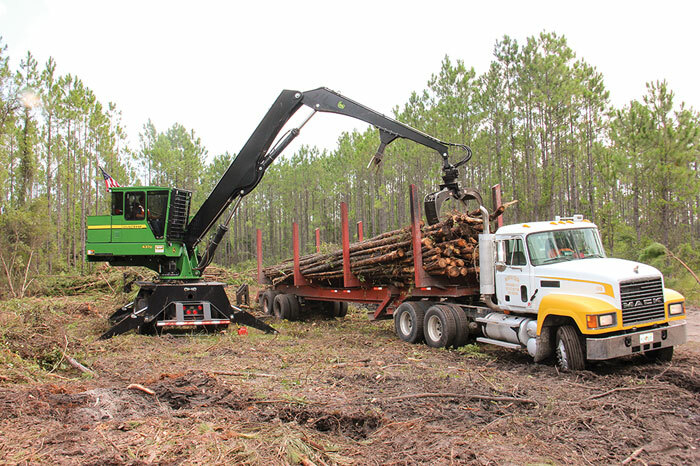 The third version of the Mid-Atlantic Logging & Biomass Expo (MALBE) gets underway September 18 for a two-day run some 14 miles north of the twin eastern North Carolina cities of Selma-Smithfield. Thousands are expected to turn out to see perhaps the most impressive array of products ever demonstrated or displayed at any such live venue on the East Coast. 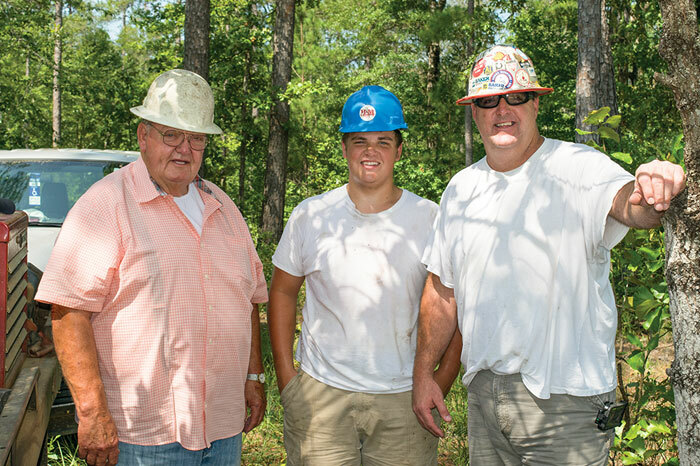 “It should be another good one, maybe the best to date in the series, which began in 2011,” says Jack Swanner, Expo Coordinator and Executive Director of the Carolina Logger’s Assn. (CLA), one of three co-sponsors of the event. “One thing is certain; the site is compact and easy to access, and we’ve tried to lay it out for the benefit of exhibitors and convenience of visitors. Like the previous sites, this one should hold up well to any rainfall.” Officially, the site is located at 1153 Lynch Rd., Selma, NC. It can be easily accessed from either U.S. 301 or U.S. 70. Southern Loggin’ Times magazine Associate Editor Jessica Johnson visits Whiteside Logging located in Rutherfordton, North Carolina. Scott Whiteside, 45, is very self-aware. During his meeting with Southern Loggin’ Times he mentions often that his crew is small; but he’s got strong ties to the mills in his area and pushes out a good amount of wood, with mostly newer equipment. He might be small, but he is mighty. 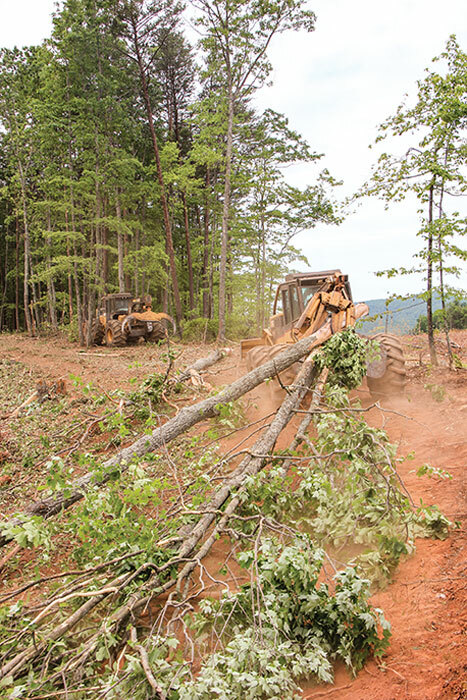 Mighty is the perfect word to describe the Whiteside job site, as it’s nestled in the mountains of North Carolina, with a Timberking track cutter and two skidders going at all times. The steep ground doesn’t present Whiteside with a debilitating challenge; instead he looks at it like a challenge to conquer. Except when it rains. When it rains in these mountains, especially in the winter, the crew takes a few days to recover. (This article was submitted by Terex Materials Processing) When Terex Materials Processing (MP) purchased the assets of Continental Biomass Industries (CBI) in April, many around the industry wondered what kind of direction was in store for CBI, a company that had thrived in the wood, biomass and recycling markets since 1988. Now several months since the acquisition, the dust has settled and it’s becoming clear how well CBI fits into the plans of Terex MP, a business segment of Terex Corp. For years, Terex MP was active in the wood processing industry by selling trommels and screens but it was not until 2011 when it finally entered the wood chipper market. Terex MP purchased Woodsman that year, thus launching what is now called Terex Environmental Equipment (TEE). 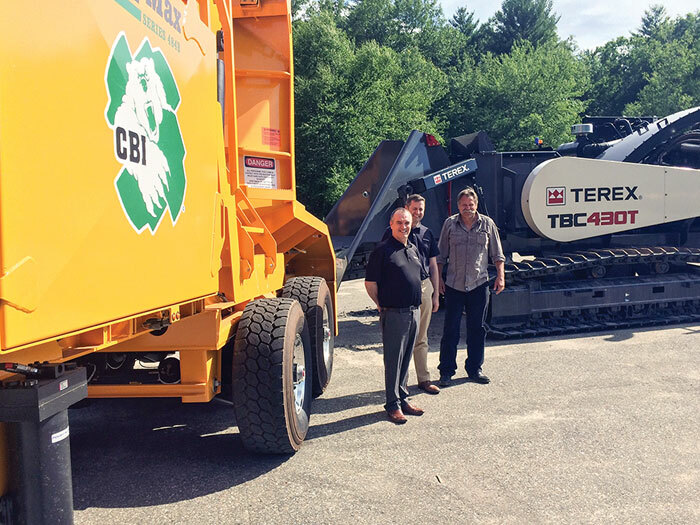 Acquiring the Michigan-based wood chipper manufacturer was a significant step in TEE’s development but it would take a company of CBI’s caliber to give TEE a mobile product line that could compete worldwide. At The Margins is designed to help loggers manage and/or operate their business better. Each month an expert provides information, tips or advice on how to maximize profitability, enhance efficiency or increase business knowledge. This month’s column is provided by Tom Trone with John Deere Forestry. 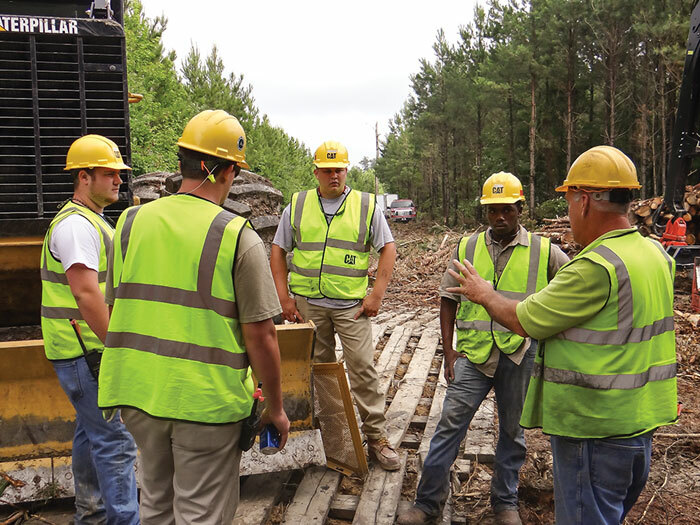 The article is titled, “It’s Who You Know-Networking Is Crucial To Successful Logging.” Click here to view the full article.